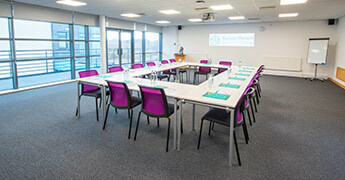 Barton Peveril have a number of facilities for hire on the campus. If you are looking for modern, well-equipped spaces for your next event have a look at what we have to offer. Small meeting room complete with computer and projector. 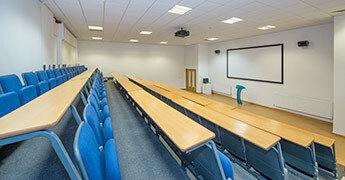 Multi-purpose space, perfect for presentations. 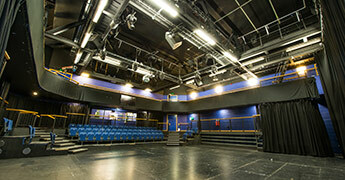 Theatre that includes audio visual equipment and theatrical lighting (extra charge). 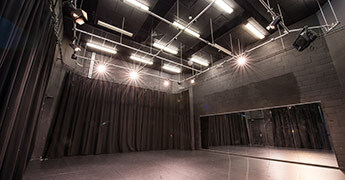 Medium sized studio, sprung floor and mirrored wall. Medium sized multi-purpose conference room, includes outside balcony. 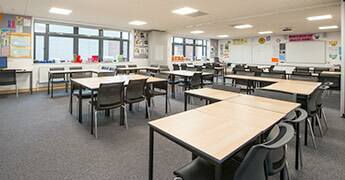 Modern classrooms, include whiteboards, projectors and speakers. 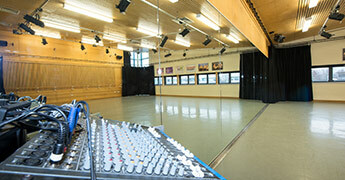 Sprung floor studio, ballet bars and mirrored wall. 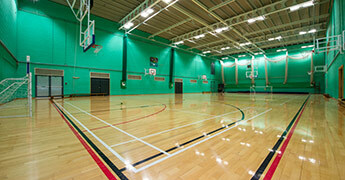 Large hall complete with facilities for basketball, indoor football and badminton.